Recently there has been a bit of a paradigm shift in how researchers are viewing recovery. There has been an intense debate about whether or not some of the recovery methods we use actually hinder us in the long run. 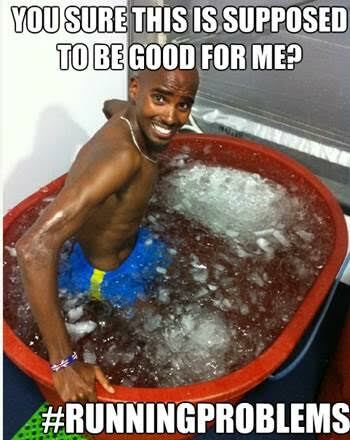 Below is an article from Runner’s World that addresses whether or not icing is conducive to recovery. One of the big debates in sports science over the last few years has been the question of “too much recovery.” Is it possible that the techniques we use to recover from workouts—ice baths, antioxidant supplements,compression garments, etc.—could in some cases be counterproductive? After all, the whole point of a workout is to impose physical stress on your body, so that it will adapt and get fitter and stronger. What if, by removing some of this stress with recovery aids, you’re also removing the signals that tell your body to adapt? While a few studies have investigated this question, the debate has mostly been theoretical so far. But now data is starting to roll in. An Australian team led by Llion Roberts of the University of Queensland and the Queensland Academy of Sport has just published the most comprehensive look yet at the link between ice baths and training adaptations in the Journal of Physiology—and the results are extremely interesting.